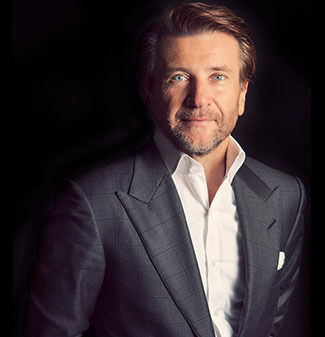 I’m often recognized because of my role on Shark Tank but what many don’t appreciate is that I work 24/7/365 as the Founder and CEO of The Herjavec Group (THG). Those who know the managed security industry will know that I’m just like THG’s Security Operations Center – a little IT humour never hurts. The Herjavec Group is one of the largest independent managed service providers in North America and we are in the midst of a significant $250 million, 3-year expansion plan. Yesterday we announced that The Herjavec Group acquired Sentry Metrics, a leading Toronto-based managed service provider. This transaction enhances our technical expertise, expands our customer base to over 100 managed service clients and increases services revenue by $7.5 million. We are one of North America’s fastest growing technology companies – and we aren’t done yet. I love to share our growth story whenever I’m speaking at conferences or to the media—and there’s a very specific reason: I want my team and those around me to understand what it’s like to achieve success and still be driven for more. The Herjavec Group has transformed over the past 11 years from 3 people and $400K in sales to a team of 225 and a run rate of $140 million. While some believe we are at the height of the cyber security bubble, I would argue we are only getting started. Information security is now a focus in every board of director meeting across North America following several high profile targeted attacks and breaches. 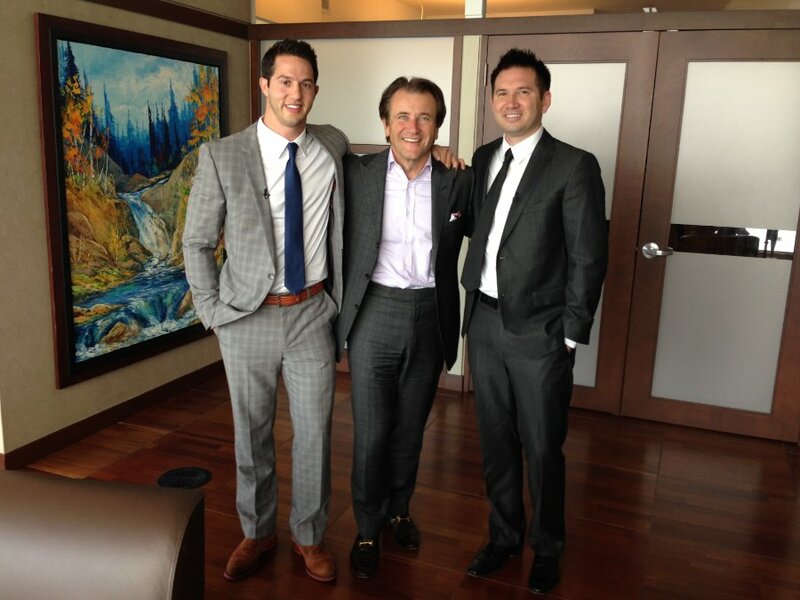 This is our time and I could not be more proud of the amazing team at The Herjavec Group. 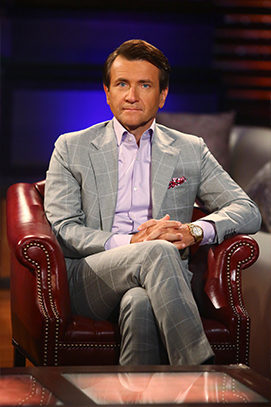 While it’s “acquisition week” at The Herjavec Group it’s also Shark Week on ABC. To gear up for the premiere of Season 6, the Sharks were asked to pick their favourite episode from last season. I chose to highlight one of my favorite growth stories: Tipsy Elves. Their episode will air TONIGHT. Most entrepreneurs exude a sense of confidence, but Nick and Evan had something special. The moment they started their pitch, I was hooked. They are two incredibly bright young men who left their high paying careers as a endodontist (Nick) and lawyer (Evan) to pursue their entrepreneurial dream. They took a chance in starting an ugly holiday clothing and accessory business, but it’s paying off. Big time. If you’re a fan of Shark Tank, you know the best pitchers know their numbers, and the Tipsy Elves did not disappoint. I’m not just talking revenues and profits… Nick and Evan both knew their COGS, gross profit, net profit, conversion rates, and customer acquisition costs from back to front. These details came at timely and strategic moments throughout their pitch, which kept us all on the edge of our (well worn) Shark seats. Since the night their episode aired, The Tipsy Elves team has thrived under what we like to call the “Shark Tank Effect.” They’ve developed a significant following online, accelerated to 35,000 unique web visitors per day and continued to focus on their numbers. Prior to the show, Tipsy Elves had about $750,000 in sales. I’m proud to share that Tipsy Elves are now projecting $8 million in sales for this year. I have no doubt that they too take great pride in sharing their growth story in order to motivate others and continue to drive themselves. Well done gentlemen. Now we want to hear from you. Have you had a pitch that went great—or one that bombed? If you were a Shark, how would you decide which ideas to back? What makes a pitch unforgettable? Write your own post on LinkedIn using #SharkTankWeek or tell us in the comments. Watch clips of the Sharks’ favorite pitches and don’t miss Shark Tank Week starting September 7th on ABC.